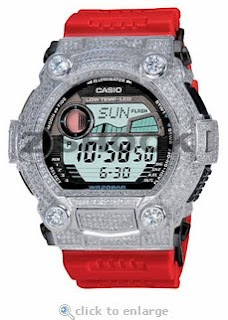 ZShock is known for it's quality and precion fitting bezels for G-Shock watches. Sometimes people forget that ZShock is a fine jewelry manufacturer and that we make all types of unique jewelry and accessories. 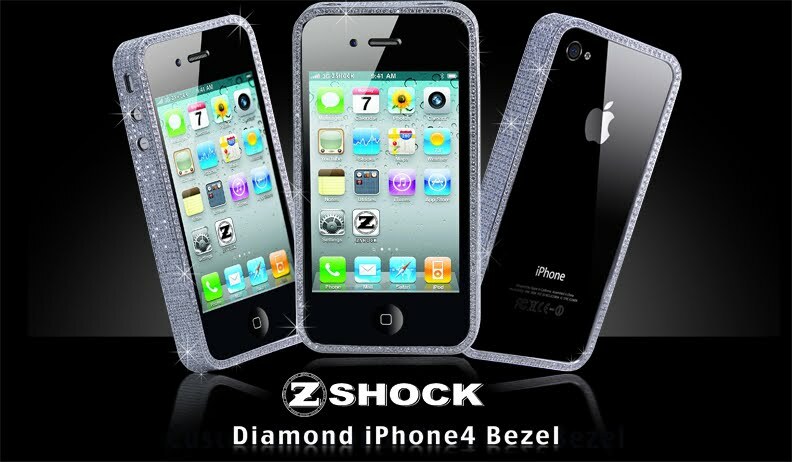 When we were approached to make a diamond bezel for the Apple iPhone 4, we were happy to take on the challenge. We created a sleek bezel containg over 22 carats of diamonds that will take your iPhone 4 to a whole new level. Now your iPhone 4 can get I.C.E.D. by ZShock and you will be ZShock'n in a whole new way. Pricing is available upon request, simply call 1-877-7ZSHOCK. Young Money's Gudda Gudda recently had some fool try to steal his YM chain while he was performing. Needless to say the thief didn't get to far. Here you see Gudda explaining what happened, all the while he is ZShock'n with his I.C.E.D. out canary G-Shock by ZShock. Great new video from MechanicalDummy.com, Chris Brown's style blog. See if you can find the ZShock'n going on. Shout to Chris for letting people know that fashion runs the gammit and you don't have to spend a huge amount of money to be fly. GIRLS, GIRLS, GIRLS from adbcdesign on Vimeo. The kid from Miami, D-Gibbs just posted his second video off his mixtape ZShocks And Tubesocks. Watch the video and peep that blue diamond ZShock hitting hard. I.C.E.D. by ZShock!!! The watchmaker Tiret has done it again. 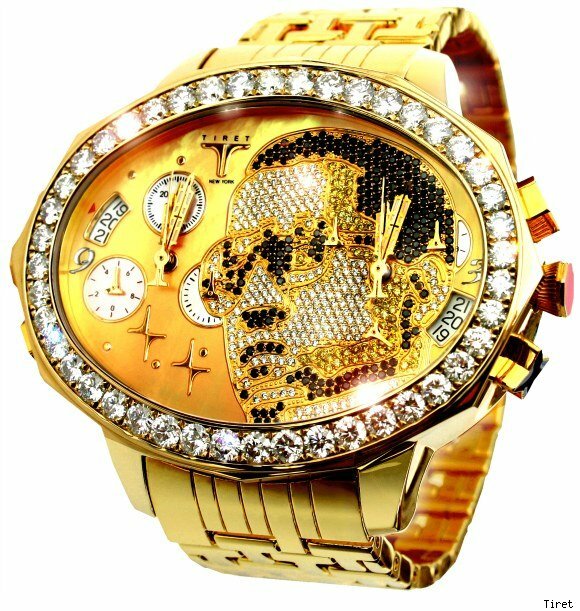 After the succesful manufacture of the watch for Usher Raymond with his face on the dial, they have made a more grandiose version for Kanye West with the rappers face emblazed in diamonds on an 18K yellow gold Tiret watch. It's a double swiss Chrono and price at $180,000. ZShock send out props to Tiret. Just wanted to give you a sneak peak of this Limited Edition Dee & Ricky X G-Shock Collabo that has been ZShock'd with the Blacktastic treatment of blacked out metal and black diamonds. Enjoy the view and let us know if you want to cop one.